Artist: Enrique Iglesias. The first single will be "Away" and the second single will be "Takin' Back My Love". Title: Greatest Hits. Format: CD. Item Condition: New and unplayed. Love to See You Cry. 2010 album from the Latin superstar. 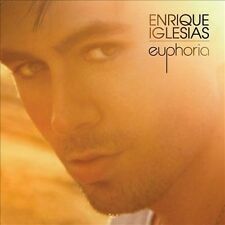 His most diverse, eclectic collection to date, Euphoria is the first Enrique album to feature songs sung in both Spanish and English, and, says Enrique, 'is like nothing I've ever done before. Enrique Iglesias The Best Hits 1999 CD. Condition is Like New. Shipped with USPS Media Mail. Escape - Enrique Iglesias, Iglesias, Enrique. Don't Turn Off the Lights - Enrique Iglesias, Iglesias, Enrique. Maybe - Enrique Iglesias, Iglesias, Enrique. Artist: Enrique Iglesias. Bailamos - Enrique Iglesias, Barry, Paul. Author/Artist: Iglesias, Enrique. The Best Hits. Condition: Very Good. 09 – Not In Love. Product Info. 19 – Bailando (feat. 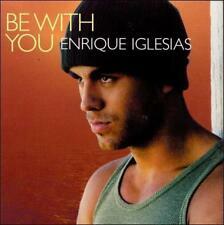 18 – Be With You. 17 – Love To See You Cry. 16 – Addicted. 15 – Heart Attack. 14 – Escape. ). Wisin & Yandel. 1 9 Tu Y Yo. 1 7 I Can Feel Your Heartbeat feat. Nicole Scherzinger. Trending at $4.20eBay determines this price through a machine learned model of the product's sale prices within the last 90 days. (Title: Escape. ABOUT SPEEDY HEN LLC. Lionel Ritchie). UPC: 606949353421. Manufacturer: Polydor Group. Language: English. Weight: 82.00 grams. Length: 126 mm. The jewel case shows normal wear. The CD has signs of wear on it. All item shipped Monday - Friday, fast shipping! You are looking at a used CD. If you are not satisfied we will do what it takes to make it right. We will correct any problem you may have. It has been tested and is in perfect condition. Rare Collectible Promotional CD Single. Title: VIVIR. ABOUT SPEEDY HEN LLC. Length: 142 mm. Width: 122 mm. Title: ENRIQUE. ABOUT SPEEDY HEN LLC. Length: 145 mm. Width: 125 mm. Title : Enrique Iglesias Greatest Hits. Condition Notes: The CD has signs of wear on it. Condition : Used - Good. 2014 album from the Latin singer/songwriter. By the turn of the millennium, he made a successful crossover into the mainstream market and signed a multi-album deal with Universal Music Group. 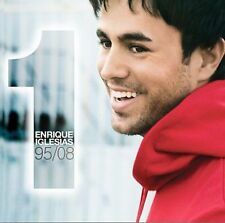 To date, Enrique has sold over 100 million songs worldwide. Title: EUPHORIA. ABOUT SPEEDY HEN LLC. Length: 141 mm. Width: 125 mm. Very gently previously used. In great pre-owned conditions. Author/Artist: Enrique Iglesias. (Item #ZB000005U3CZ2|0). Condition: Very Good. Disc(s) are professionally cleaned and may contain only light scratches that do not effect functionality. Includes disc(s), case, and back artwork. Front booklet may be missing. Case may not be an original jewel case. EXPERIENCIA RELIGIESA - Enrique Iglesias - 5:28. FRUTA FRESCA - Carlos Vives - 4:00. LA RAZON DE MI SER - Carlos Ponce - 3:00. I COULD FALL IN LOVE - Selena - 4:41. SELA VEY - Olga Tanon - 4:44. Barely played cd in Like New condition. Cd plays fine. Enrique Iglesias has sold 40 million albums in a little over a decade, becoming one of the most successful artists in the history of popular music. He has spent the past three years crafting his latest album. Everything in excellent condition, see my photos for details. CASE MAY HAVE CRACKS OR BREAKS, CD'S ARE FINE. Net proceeds from the sale of these goods and financial donations from the community make it possible for us to operate our free job training programs. SEATTLE GOODWILL'S MISSION. 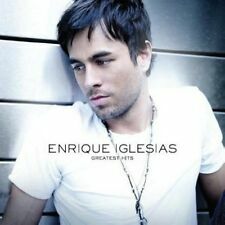 Enrique Iglesias by Enrique Iglesias (CD, Sep-1995, Fonovisa). Condition is Like New. Shipped with USPS Media Mail. 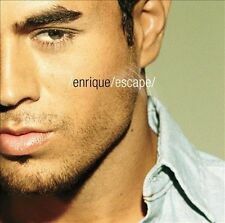 Enrique Iglesias escape CD. 2001 interscope records. Love 4 fun. if the world crashed down. She be the one. One night stand. DISC GOOD! SLIGHTLY CRACKED CASE. Promo Single: Escape. Genre: Pop. Music Promo CD Information Format: CD, Single, Promo. Release: 2001. Case condition: NM, original generic. Music Cassette Tapes. Music Reel to Reel Tapes. Shakira (Latin). Enrique Iglesias. Escapar (Spanish). Heroe (Spanish). No Apagues La Luz (Spanish). Don't Turn Off The Lights. She Be The One. One Night Stand. Author/Artist: Enrique Iglesias. ISBN/UPC: 606949318222. Condition: Very Good. Has a tiny very minor scuff but plays good. Is a Radio Promotional Maxi Single CD. Most of our items we sell are used and are in good condition. Since our items are mostly used, digital codes are not always valid. We cannot and do not guarantee codes will be unused, redeemable, or included. We ship Monday – Friday. Thank you for supporting Goodwill Industries of South Florida. 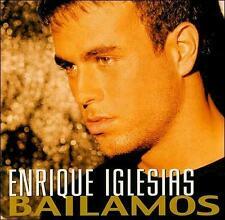 Microstar Inventory: Spanish Music CD - Enrique Iglesias - ENRIQUE 1999 CD3- Column A -VR. Condition: CD Good Condition. THIS FEATURES LUDACRIS. Tonight (I’m ----ing you). Tonight (I’m Fu ing you). The CD IS A PROMO ONLY RARE TST PRESS WITH SURFACE itself has a white sticker stuck directly to it with black print and is 100% official, the under side is blueish VERY VERY LIGHT BLUEISH TINT. This is a rare, original, Whitney Houston and Enrique Iglesias. WHITNEY HOUSTON/ENRIQUE IGLESIAS. "Could I Have This Kiss Forever" 3 mix promo cd. COULD I HAVE THIS KISS FOREVER PROMO CD. CD and artwork are in like new condition.